Earlier this week, I did a new twist on the write-around written conversation strategies by using it as a learning structure for students to evaluate different sources of information. 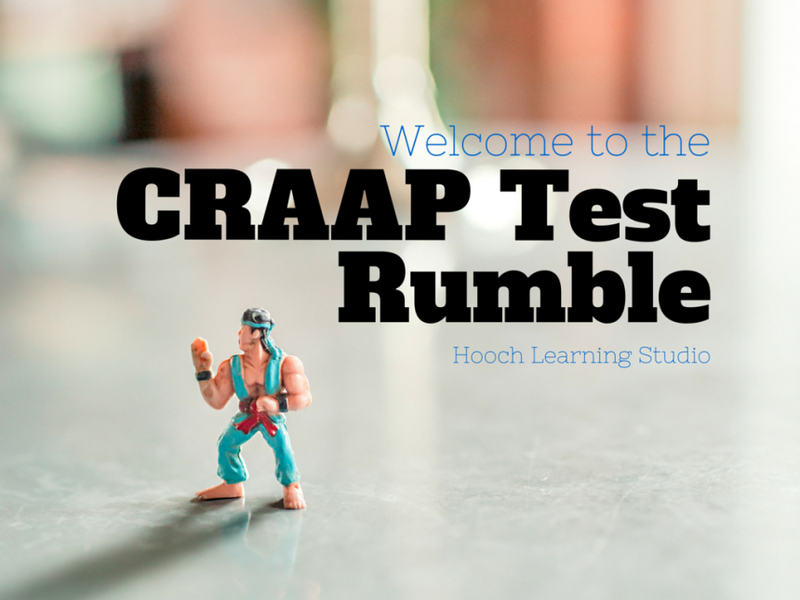 This entry, originally posted today on my media center blog, shares our learning experience with the CRAAP Test Rumble! Update 1/16/17: The original post on the Hooch Learning Studio site has a more detailed explanation, so you may want to visit here to get a fuller picture of the learning activity. Earlier this week, we had the great pleasure of working with Ms. Boudreaux and her two sections of Honors 10th Literature/Composition. 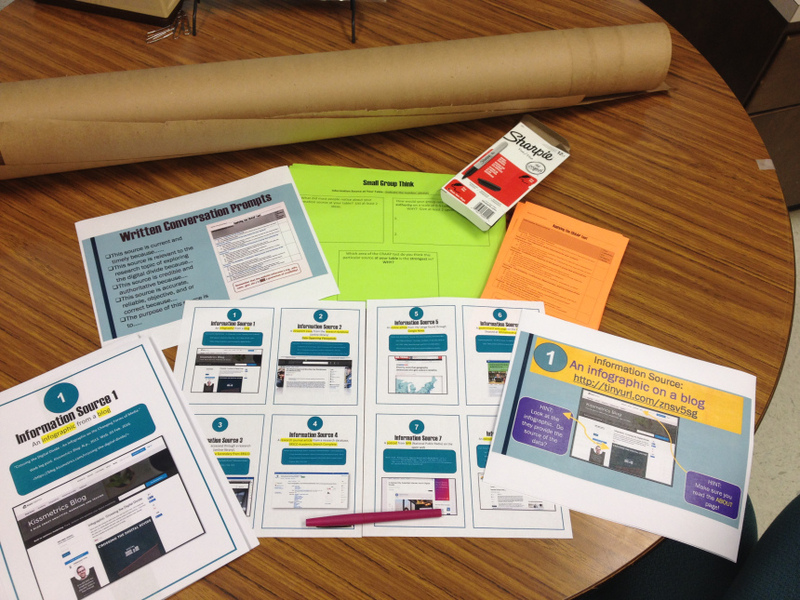 We used Monday to give students a hands-on experience in evaluating a variety of information sources. We began with a quick chat about the importance of evaluating and assessing allinformation sources in the context of one’s research task and topic, not just websites. 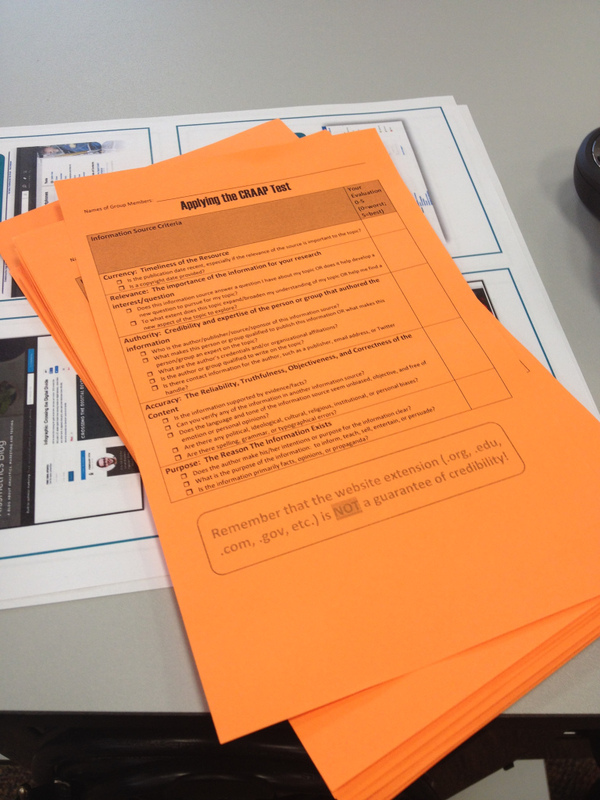 We then introduced the CRAAP test and showed a short video to familiarize students with the principles and questions to consider; students also received a CRAAP test checklist (see below).